3 bedroom, 2 bath open floor-plan 1,500 square foot home with great white-water views and total privacy. Just one road up from the front. Updated fully-equipped kitchen, stove, microwave, coffee-maker, and everything you'll need. Large flat-screen TV with cable and DVD player. FREE WIRELESS INTERNET, and free calls to the USA. 3 bedroom, 3 full baths, just one row back from the beach, pool & spa. Spectacular white-water ocean views. Covered parking. BBQ. Well equipped kitchen with all amenities. 2 cable TVs/VCR/DVD CD/Tape Player/Radio & movie library. Free calls to the US, & FREE WIRELESS INTERNET. 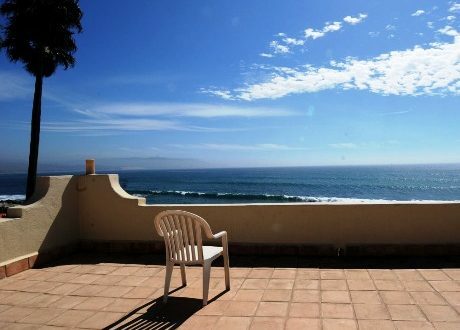 One house behind ocean front overlooking the surf break with huge patio deck. Fully-equipped kitchen. All amenities. Bed and bath linens provided. Cable TV, Fireplace, Gas BBQ, Washer and Dryer, and Large Garage. Enquire about long-term rentals! FREE WIRELESS INTERNET! 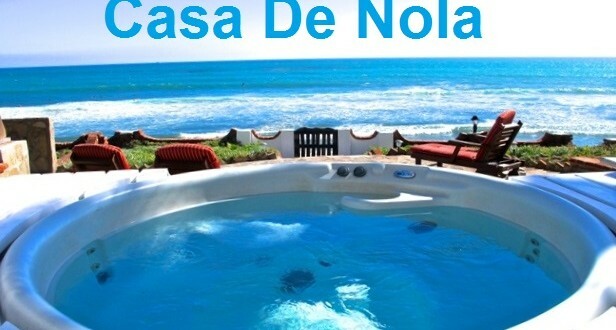 Beautiful 3 bedroom oceanfront house. Stunning upgrades. All 3 queen-bedded bedrooms have their own private bathrooms and TVs. Superior quality linens. Beautifully furnished, fully equipped kitchen, great ocean views. Gas fireplace. Large patio with new furniture. 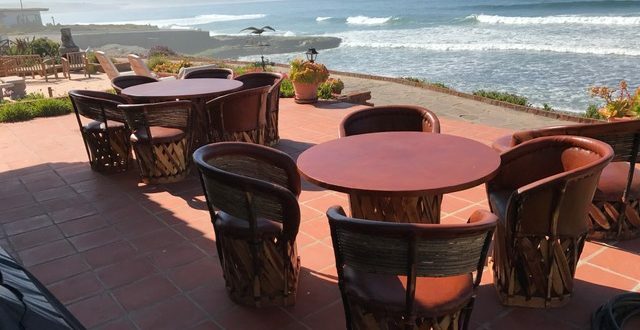 Check the surf on your enormous OCEAN FRONT patio at this recently remodeled and upgraded Baja Villa. The kitchen has a gas stove, microwave, dishwasher, and pretty much everything you'll need and more! 2 king beds & 2 twins. High thread-count sheets, deluxe mattresses, black-out curtains. Free Wi-Fi and Landline with free international calls. 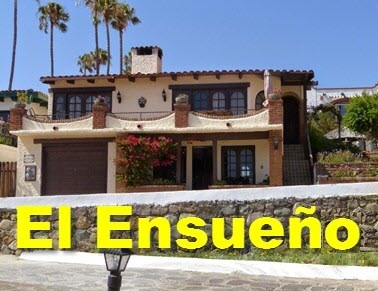 Custom House built in 2003, with beautiful ocean views and convenient location to community center and pool. Upstairs –Master bedroom, 1 1/2 baths, and spacious kitchen, dining, and living areas. Downstairs-2 bedrooms and bath. All amenities, including 2 cable TV’s, DVD/ CD/stereo, iPod dock, ceiling fans, fireplace, heaters, and complete kitchen including dishwasher. FREE WIRELESS INTERNET. 3 bedroom, 3 bath Mexican-style home, with a garage for your use. Close to pool, spa & the steps leading to the beach. Fully equipped kitchen. Great ocean views, and if you're lucky, you'll also see whales & dolphins go by! Charcoal barbecue on the deck. FREE WIRELESS INTERNET! 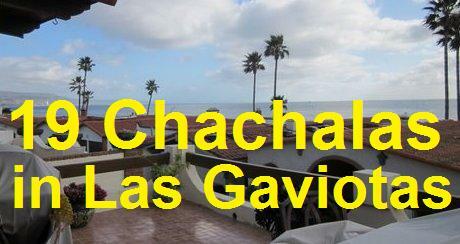 3 bedroom Las Gaviotas rental. All bedrooms have Queen beds. 3 bathrooms. Fully equipped kitchen. 2 patios. Gas BBQ. Cable TV, VCR & FREE WIRELESS INTERNET! Just one row from the beach. Off-street parking. Excellent ocean views. 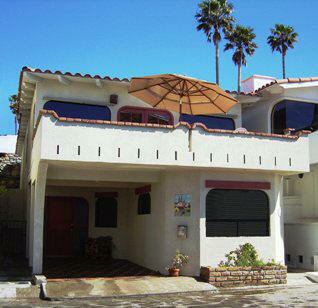 3 bedroom, 2 bathroom recently remodeled ocean front home. Splendid white water views. Spacious deck with patio furniture & BBQ. bedrooms have 2 king beds, a double and a twin. Cable TV. Fully equipped kitchen with electric stove, fridge, blender, dishwasher and everything you'll need. FREE WIRELESS INTERNET. OCEAN FRONT 3 bedroom, 3 bath home with a Jacuzzi is a spectacular seaside getaway perfect for a large family or a group of friends! We have central heating. 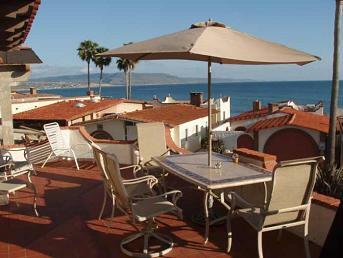 One of the largest decks in all of Las Gaviotas. Fully equipped kitchen with with microwave oven, coffee maker, blender and dishwasher. Cable TV, VCR & CD Player & built-in charcoal BBQ & firepit on deck! OCEAN FRONT! 3 bedrooms. Fantastic ocean views. 3 Queen beds. 2 Bathrooms. Free Wireless Internet. Free phone calls to the USA. Charcoal barbecue, Well-equipped kitchen, Large deck next to the ocean path. Roof deck too. OCEAN FRONT 3-bedroom, 2 bathroom home. Fantastic ocean views. Magnificent outdoor patio with firepit. Well furnished. Updated kitchen with granite counter-tops. FREE WIRELESS INTERNET! OCEAN FRONT completely remodeled 3 bedroom home. High-end finishes. The Chef's kitchen has everything you'll need. The large patio has a charcoal BBQ, and an unobstructed view of the walk-way and surf-break. You will find various 'surf' details throughout the house. 2 Cable TVs and FREE WIRELESS INTERNET! 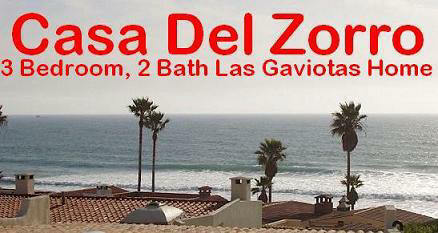 Spacious 3 bedroom, one-level traditional Mexican Hacienda-style rental with spectacular views of the surf! Only one row up from the ocean. Fully equipped kitchen with all you'll need, including fully filtered and UV purified water. All rooms have fireplaces. Smart TV, (Netflix etc), FREE WIRELESS INTERNET, and free phone-calls to the US. 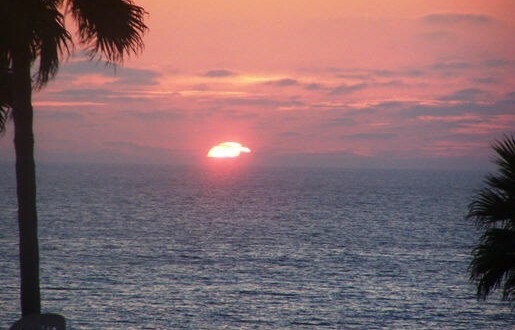 OCEAN FRONT charming & comfortably furnished 3 bedroom, 2 bath home. Close to clubhouse, pool & spa. There are 2 queen beds, 1 king and 1 twin. Fully equipped gourmet kitchen. Not the normal rental. Great deck for BBQ'ing, entertaining, sunbathing, and watching the surf. FREE WIRELESS INTERNET! 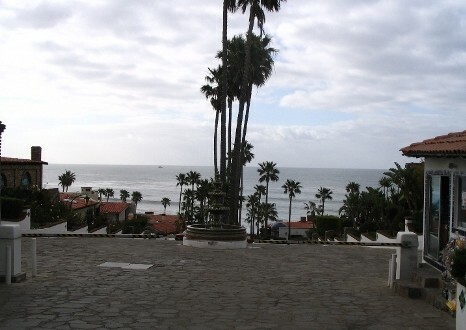 Great views from this three bedroom 2 bathroom OCEANFRONT house. Large double patio with charcoal BBQ & patio furniture. 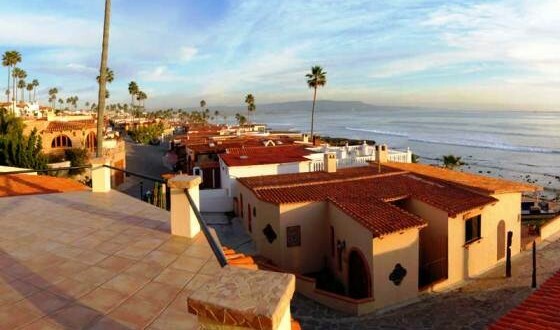 Watch the daily migration of seagulls, whale, dolphin and the wonderful pelicans.Walk the length of Las Gaviotas on the oceanfront malecon to the beach, hot tub and Olympic size pool. Also available, a children's park, putting green, beach volleyball, shuffleboard, basketball and tennis court (bring your rackets). FREE WIRELESS INTERNET! 3 Bedrooms (2 Queen – 2 Twin) each with own bath and ceiling fan. 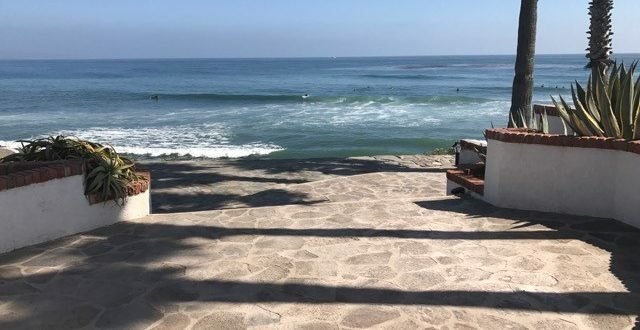 Fantastic views of main surf break from Master Bedroom and 2 sun decks.GREAT location, one house back from Ocean Front, easy access to beach and surf break. Secured garage with board and wetsuit racks. Fully equipped kitchen, Flat screen TV, DVD, Gas BBQ, and washer and dryer. FREE WIRELESS INTERNET! Enjoy AWESOME VIEWS from this Spacious Home with 3 master bedroom suites. Just one row back from the beach area. House includes all amenities for a fabulous vacation: fully equipped kitchen with Keurig coffee maker, ceiling fans, barbeque, 2 TV's with cable, VCR/DVD, central heating, fireplace, and spacious deck. Also, free HIGH SPEED WIRELESS ACCESS! SPECIAL MIDWEEK RATES. Newly remodeled home, just one row from the ocean on the surf break side. 17 Las Chachalas offers 3 bedrooms & 3 bathrooms. Two king beds & one queen. The bedroom with the queen bed & full bath is a lower unit, with its own separate entry. Fully equipped kitchen and large living room. Enjoy BBQing on the large deck. Cable TV. FREE WIRELESS INTERNET!